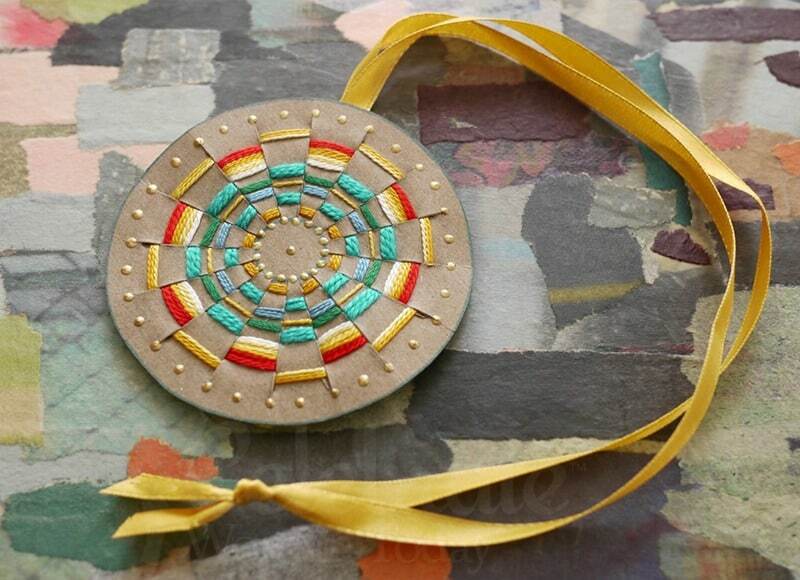 This unique Woven Sun Pendant Craft Tutorial could be your elegant gift idea for the upcoming occasion, be it a birthday or a seasonal holiday. Sometimes we try different crafts and they come out stunningly beautiful. Simple and beautiful, and very much suitable for a gift to someone we know, care and love. 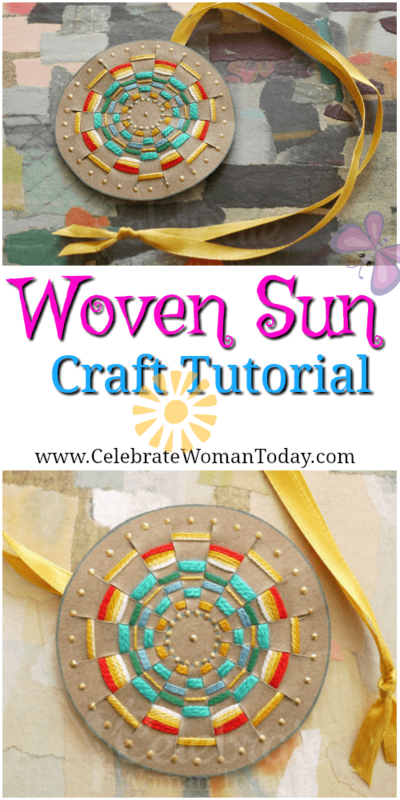 This Woven Sun Pendant Craft Tutorial is one of such occasions when the first one came out just perfect and awesomely colorful. With the Mother’s Day in the offing or someone’s birthday around the corner, you will need the simplest things to arrange this pendant and decorate the way you feel like. Here’s one of the samples of what you could make and present as a gift to the dear one in your life. Prepping all ingredients in this craft comes first. And you are done! Wear this beauty around your own neck, decorate your bedroom wall, or hand it out as a medal to anyone you feel deserves recognition! STEP 1: Open up and flatten out your empty box to expose the beautiful brown inside. Use the compass to draw two main circles. My circles are 3 inches (7.5 cm) across but you can make yours as big or small as you like. 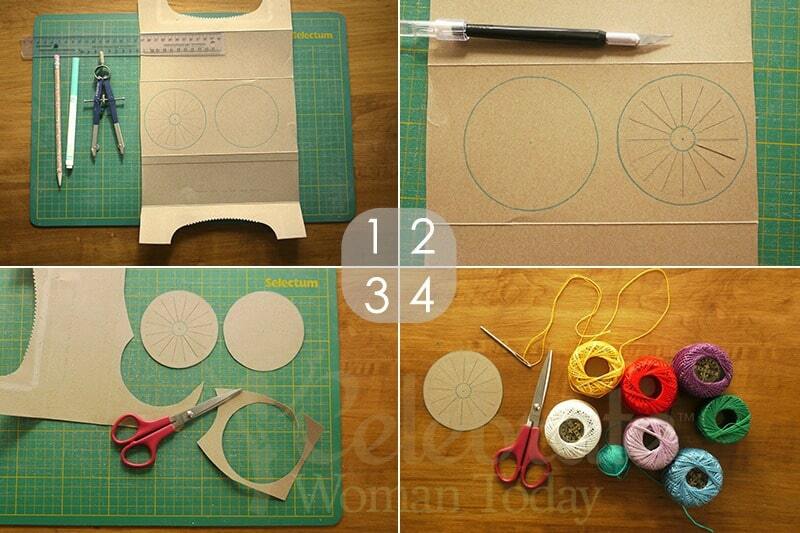 Using a ruler and pencil, create a wagon wheel pattern through the centre on the first cardboard circle. Draw another circle 1/4 inch (6 mm) from the edge of the main circle. Also draw out a small circle in the center of the main circle. Trace the main circle and the centre circle with your colorful marker. STEP 2: Use the ruler and Exacto knife to cut out slits along the spokes of your wagon wheel. Note: Adults will have to perform this step for their children. STEP 3: Now cut out both circles from the flattened box. STEP 4: Get out your yarn needle and several colors of yarn or string. Cut off a piece of yarn. It doesn’t have to be very long. A few feet (60 cm) will be more than enough. Thread your yarn needle. STEP 5: Leaving a tail in the back of your circle, begin to weave your first color in and out, in and out. Go around as many times as you wish with this first color. STEP 6: When you've gone around as many times as you like, secure the start and end of the yarn with a knot in back. STEP 7: Add in your next color by securing it with a knot to one of the ends of the previous color. STEP 8: Continuing with this new color, weave in and out as before, this time going over and under the opposite spokes as you would if you were weaving a basket. Repeat steps 6 and 7 until you've filled your circle. STEP 9: Flip the circle around and tie off all the ends to each other so that they don’t flop over the edge. Cut off any ends that are too long. STEP 10: Turn the woven circle around to make sure that no ends are visible. 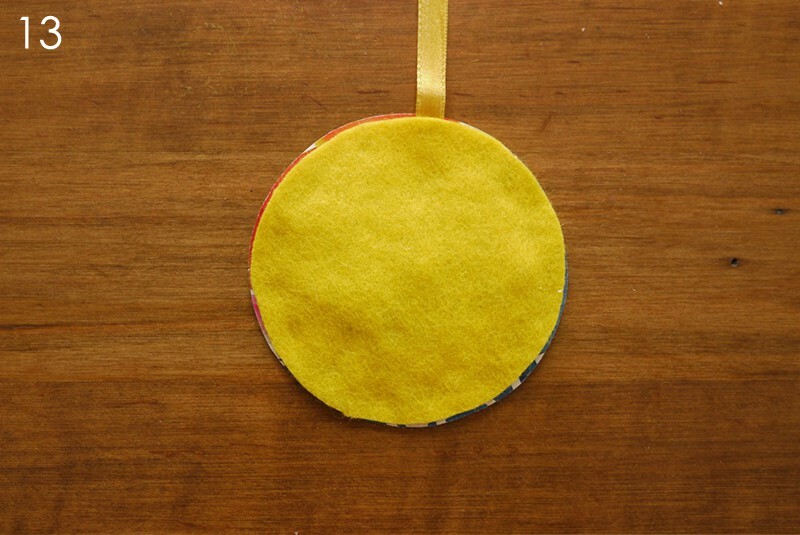 STEP 11: Using the other circle as a template, trace out a circle on your piece of felt. 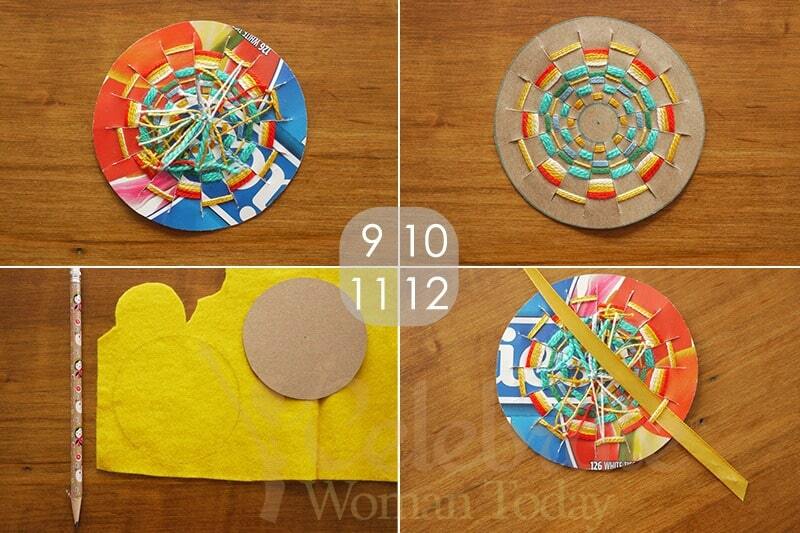 Cut out the felt circle and set aside. STEP 12: Take your length of ribbon and secure it through some of the back threads as shown. This ribbon will be your hanger. STEP 13: Glue the felt circle to the back of your pendant to produce a nicely finished back. 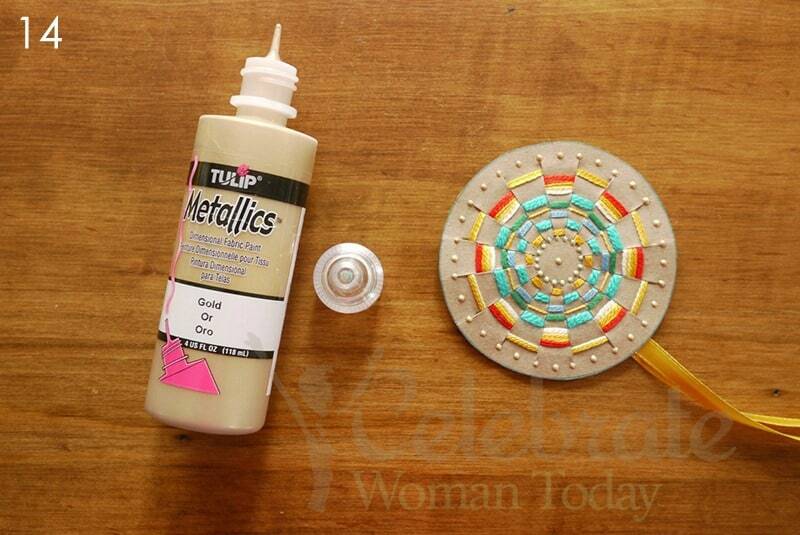 Use small dots of glue over the entire felt circle. STEP 14: Optionally, you may add a little pizzazz to your pendant by dabbing on little dots of dimensional paint near the outer edge and inner circle of your pendant! My daughter loves making things like this so i know she would enjoy this one! It looks so cool! Thanks for sharing! 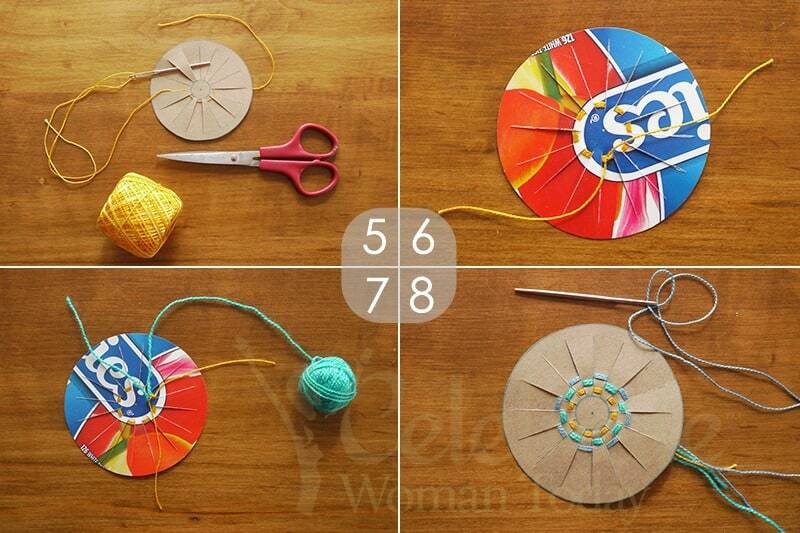 What a cute and fun summer craft. I’m not the best when it comes to crafts, but I do want to try to make this. Thank you for making the steps look so easy! Haha, because I’d probably be an epic fail if it wasn’t shown. How pretty looks like a lot of fun to make. I love to make crafty items. What a lovely design. I love that you’ve added those embellishments. So pretty! It looks amazing! 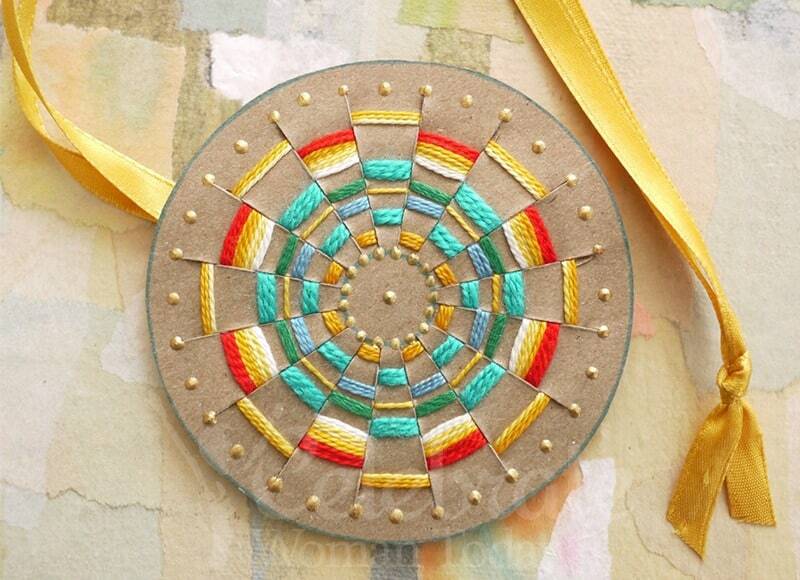 I think it’s a lovely craft to make for yourself. I love that it’s perfect for the summer. You can choose to wear this with a maxi dress or style any other outfits you have for the summer. 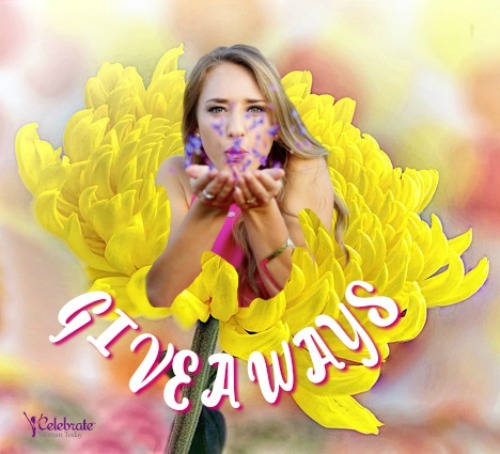 I love your photo tutorial it makes easy to make and it’s a lovely project, you’re very creative! This is such a fun and nifty project. Would be great for summer school ideas for kids! What a cute summery craft! Your instructions were super easy to follow and you were very clear. Great post :)! This is so cute! I like DIY projects and it looks so easy to make. I would love to make one with darker colors I hope it comes out as cute as yours! This is so pretty! My little guy might be able to do it if we make his bigger. Really loving this and the step by step guide is very well detailed. I sometime babysit 11 years old and this will definitely make time pass and also make babysitting a bit fun too! This is so pretty! I need to make one with my daughter. She’d love it. So pretty for such simple materials! Awesome tutorial! I always like learning about arts and crafts. This is so beautiful and creative project. This looks like a really fun DIY that I bet my daughter would love. Arts and crafts are our way of bonding, so I am always looking for new things to make with her!